I received an eARC of this novella in exchange for my honest and unbiased review. An Orphaned Domestic Slave Discovers the Magic Within Herself. On Cinderella's eighteenth birthday, the king announces a series of three grand balls in which Prince Willem will select a bride. Cinderella attends the first ball but flees when she realizes that she is a witch. Accused by her stepmother of being a dreaded temptress, Cinderella flees the second ball. Determined to gain Willem's love, Cinderella attends the third ball only to flee again when she foresees imminent invasion by barbarians. Is the kingdom doomed, or can Cinderella use her newfound powers to save the day? 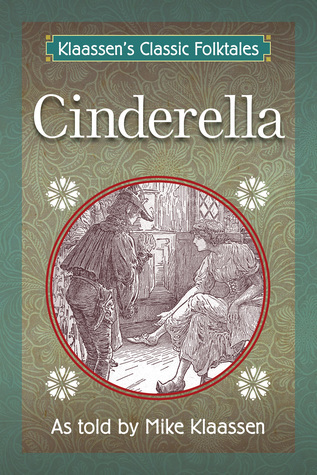 Cinderella is part of the Klaassen's Classic Tales collection of ancient stories first published in the early 1800s, now enhanced for the 21st century. If you liked Hansel and Gretel and The Frog Prince, you'll love this novella. Rediscover the enchantment of Cinderella today! Although I enjoy reading retold fairy tales, they are often difficult for me to review. After all, the plot and characters that I'm enjoying are not creations of the author's imagination. The challenge, then, becomes to judge how well an author is able to make the story their own. In this case, Klaassen met the challenge. Klaassen's retelling of Cinderella is chock full of vivid descriptions. He makes sure to provide every detail of Ella's surroundings as she goes throughout her home as well as to and from each of the balls. He masterfully describes the scenery, the other characters' attitudes, and even the animals' behavior. Of these descriptions, I believe the most beautiful is Klaassen's description of Ella getting ready for the first ball. I won't spoil it here, but it is a definite treat! Unfortunately, not all of Klaassen's descriptions were as beautiful as his descriptions of scenery, animals, and attitudes. In each novel/novella that I read, I look for the connections and relationships between characters. I understood why Ella and her stepmother were at odds, but the relationship between Ella and her stepsisters needed to be better defined. The reader should want to hate them as much as the stepmother, if not more! Klaassen was also wary about truly setting the scene for his retelling. Laws and beliefs of the time period it is set in are brought up, but never explained. Therefore, there are sections that should frighten the reader that just fall flat. Even worse, however, are the sections that Klaassen wanted the audience to feel Ella's pain and apprehension, but the audience does not have the information to do so. Overall, I enjoyed this story. I definitely recommend it to fairy tale fans!